The war exhibition opens today in the London space and features three works by the distinguished French corsair Ambroise Louis Garnery (1783-1857). The son of an artist, Garneray's early career featured plenty of swashbuckling action until the British captured his ship the Belle Poule was captured in March 1806. 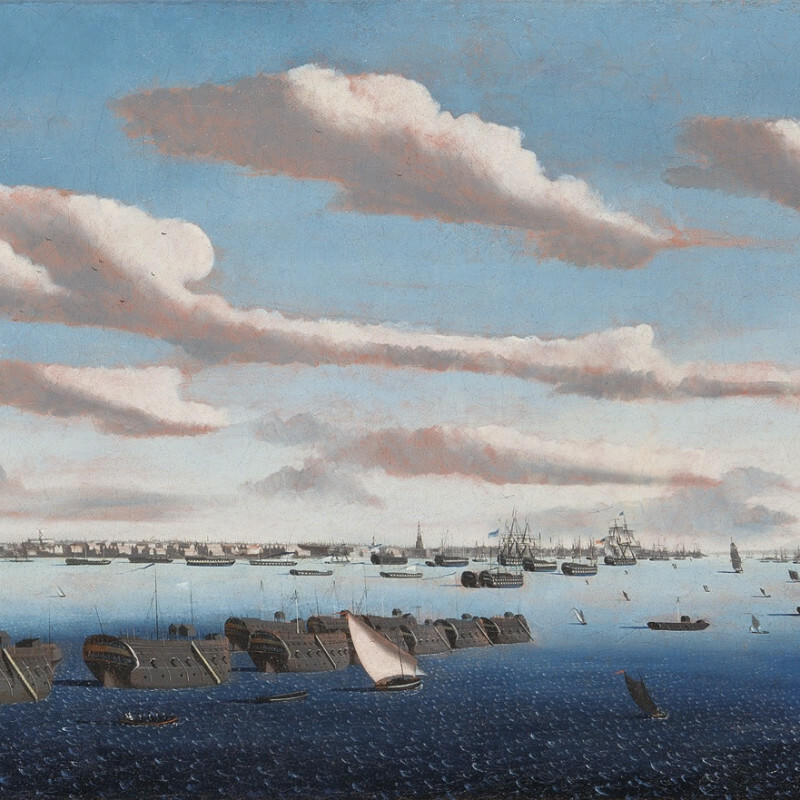 He spent the following eight years on prison hulks off the coast of Portsmouth, where he made and sold paintings to improve his standard of living. Once freed in 1814, he pursued painting full time, becoming the first Peintre de la Marine (offiicial artist to the Navy) in 1817 and exhibiting regularly at the Salon de Paris. In addition to his oil paintings, Garneray produced many engravings and developed the acquatint, as well as writing his memoirs, which were published posthumously in three volumes.